Out of four home nations, two voted to remain within the EU on 23 June (Scotland and Northern Ireland), while two voted to leave (England and Wales). Much has been made of the EU Referendum result in Scotland, however, little has been said about the voting patterns in each of the other three home nations as opposed to the UK result overall. Only Nicola Sturgeon adopted the position that reflected the view of her home nation. The Prime Minister and the First Ministers of Wales and Northern Ireland were out of step with the majority view in each of their nations. The outcome of the referendum in Wales is significant when you consider that the First Minister supported the remain campaign. Indeed, Carwyn Jones, like Jeremy Corbyn, could now see his authority challenged due to the fact that a significant portion of the core Labour vote in Wales chose to leave the EU. However, this result is not surprising given the rise in UKIP support across Wales, with voters electing seven UKIP regional Assembly Members back in May. In turn, this prevented Welsh Labour from securing a majority and reduced the Conservative group in the Assembly, despite the gains it made in Wales in the 2015 General Election. Just as Carwyn Jones went against the majority of Welsh voters by supporting remain, so to Arlene Foster, First Minister of Northern Ireland, went against voters by supporting leave. While Arlene Foster and the DUP supported Brexit, the majority voters in Northern Ireland chose to remain within the EU. However, Foster has the benefit of having backed the side that won the referendum and, as such, her authority is unlikely to be challenged. A key demographic for both the Yes campaign in the Scottish independence referendum and the leave campaign in the EU referendum was the working class, which voted against the status quo in both cases. In contrast, the elderly voted differently across the two referendums. While a majority of elderly people voted for the status quo in the Scottish referendum, that is to remain part of the UK, a majority of elderly people voted against the status quo and to leave the EU on 23 June. This is what tipped the result in favour of the leave campaign, as it was also demonstrated that turnout was much higher in areas where there is a larger elderly population. Indeed, the elderly are typically much more likely to vote in an election or referendum than younger generations. Taken with the minority of nationalists of all hues in each of the home nations, and you have a toxic mix that can deliver an unprecedented result. Although the Conservatives were the only major political party to offer a referendum on EU membership within their manifesto in the run up to the General Election in 2015, it was not the Conservatives who lost the vote. Rather, it was Labour that failed to secure working class voters who, in recent years, have become disillusioned from party and moved towards the Conservatives or, in a lot cases, towards UKIP. It has become apparent throughout the EU referendum that Corbyn was, and still is, unable to unify the Labour vote, while the fallout post-referendum has shown that he is also unable to manage his parliamentary party. This scenario was also reflected in the Scottish independence referendum, which saw a significant portion of Labour’s core vote swing in favour of independence. The poor management of the Scottish Labour vote then continued into the 2015 General Election, when the party was almost completely wiped out in Scotland. As such, the UK is now in a situation where the possibility of two leadership contests could result in the outcome of the referendum being challenged. Indeed, if the ensuing leaders of both the Conservative Party and, possibly, the Labour Party are challenged by their MPs over the result, they could find themselves in a position where neither has enough support to form a national Government capable of negotiating Brexit on behalf of the UK as a whole. If there is no Government to take forward Brexit and, more importantly, if there is no Conservative Government, which the people chose to elect last year, then the UK could find itself in a position where another General Election has to be called. In this scenario a newly elected Government could call for another referendum, on the basis that the premise of the last referendum result has changed. This could lead to another EU referendum later this year. However, this scenario is unlikely. It is in fact more likely that a newly elected Conservative leader will garner enough support from MPs in order to proceed with Brexit, and enact Article 50 sometime in the Autumn or Winter of this year. Like it or not we appear to be heading for the exit door in Europe. With regards to how devolution will proceed post-referendum, Scotland has already come to an agreement with the UK Government over more powers prior to 23 June. On the other hand, the Welsh Government is in the process of agreeing control over more powers and, as such, could be affected by the result. Indeed, the pace of devolution for both Wales and Northern Ireland will most likely significantly slow down as the UK Government initiates the EU exit procedure. In contrast, the call for a second referendum in Scotland will be high on the political agenda for both the UK and Scottish Governments moving forward. It is a distinct possibility that the Scottish Parliament will vote in favour of a second independence referendum if it is offered. Indeed, between the SNP and the Green Party, there is majority support for independence, while many Scottish Labour MSPs will now reconsider their position in light of the result on 23 June. If the SNP Government do decide to pursue another independence referendum, it will need to do so within the two year exit period from the EU. This would allow Scotland to negotiate the best possible deal with both the EU and the UK Government before Brexit, in order to protect the benefits it receives from the UK’s rebate and currency. Indeed, it is likely that the Scottish Government will want to negotiate a currency union with the UK. However, the logistics and consequences of an independent Scotland sharing a currency with a non-member state are unknown. “Together we employ thousands of people across the region. EU membership has been an important driver of economic development in the North East. Businesses in the North East need unrestricted access to the European market of 500 million people in order to continue to grow, invest and create jobs. 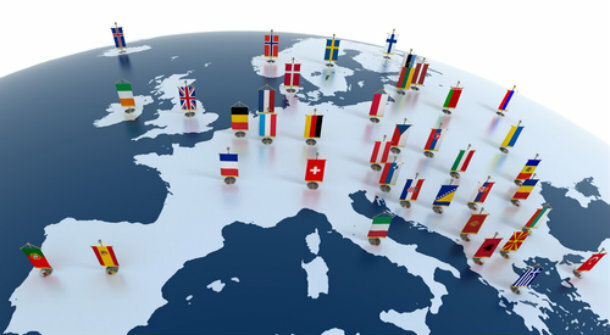 We support the UK remaining a member of the European Union, and add our voice to the major unions, business organisations, manufacturers, local government leaders, major party leaders and our international allies and friends sharing this common desire. We recognise the EU is not perfect. However, we also recognise that the UK has benefitted enormously since the joining in 1975, making the terrible 70’s a distant past, and helping in no small measure to make the UK one of the strongest economies in the world. 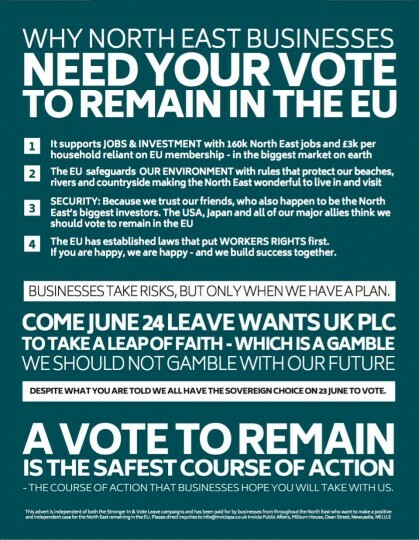 We believe that leaving the EU would deter investment, threaten jobs and put the North East economy at risk. The UK is one of the most powerful nations within the EU and has made significant contributions to making the EU better in terms of trade, rights and security. “For business confidence, investment, growth and freedom of trade there is only one way to vote – and that’s to stay in the EU. Divorcing ourselves significantly reduces the UK’s attractiveness to investors, including the large multinationals who seek entry to our region because they deem it attractive. “Manufacturing giants Nissan and Hitachi are in favour of the UK remaining in the European Market and there is a reason for this. Likewise, the majority of businesses polled in every survey favour us remaining in the UK. “Leaving would be disproportionately harmful to our clients’ operations in the UK nations and regions. Add to this exporters relying on the access provided by EU membership to a common market of over 500m consumers, and it is clear our economy is better off in. “Devolution of policy and regulatory power to the nations and regions is now embedded in some areas and emerging in others. The PM’s deal with EU leaders ensures that the UK can take its place in the EU on terms we are comfortable with, without impacting negatively on other member states. The deal is not perfect, nor is the EU, but it serves us well. Election 2017 – Polls: Who called it? 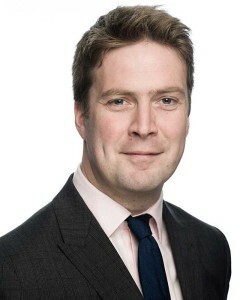 Autumn Statement – What do UK businesses need to hear from the Chancellor?